Today: Ed Feigenbaum, the editor of the "Indiana Gaming Insight" and "Indiana Legislative Insight" newsletters for Hannah News Service, joins us to talk about two measures in the 2019 General Assembly -- one, supporting changes toward economic development for the city of Gary and the other, that focuses on changes on Indiana gaming. The first bill is sponsored by Gary state Senator Eddie Melton, and Ed talks about its complexity and the chances it has of becoming law. Hoosier legislators returned to the Statehouse recently for just one day -- for a special session that was called by House and Senate leaders to finish work that wasn't completed before the chaotic end of the regular session. State Senator Eddie Melton came on "Regionally Speaking" on Tuesday to talk about the work done in that one-day session -- and its impact on northwest Indiana, particularly in Gary. Here's that conversation. Today: we look at last week's Regional Transportation Summit, sponsored by the Gary Public Transportation Corp. and held at the Indiana Welcome Center in Hammond. The Summit brought together a number of public officials as well as planners, administrators and advocacy groups to explore the future of public transportation in northwest Indiana. Today: an extended conversation with State Senator Eddie Melton (D-Merrillville) about the 2018 General Assembly session just ended, a look at the upcoming short, special session next month, and a peek at what Melton may bring to the Legislature in 2019. We also note what the Indiana Black Legislative Caucus has a series of town hall meetings this month, including this coming Saturday in East Chicago. Today: it's Reporters' Roundtable Thursday, when we turn to members of the local media to talk about the major stories they researched and wrote for print and online this week. For this program, we talk to Giles Bruce and Dan Carden of the "Times" of northwest Indiana and Carole Carlson of the "Post-Tribune." Today: the final Town Hall meeting in the statewide series of meetings set up by the Indiana Black Legislative Caucus is coming up this Saturday at Indiana University Northwest in Gary, so we bring back our conversation with State Senator Eddie Melton (D-Gary) and his Caucus colleague, State Senator Greg Taylor (D-Indianapolis). They talk about the entire Town Hall series and the Caucus' intentions for the comments they hear in creating new legislation. State Senator Eddie Melton (D-Gary) was on "Regionally Speaking" on Wednesday to talk about the upcoming Indiana Black Legislative Caucus Town Hall meeting on August 19th at I.U. Northwest in Gary. But -- while we had him in the studio --we asked him for his thoughts about the appointment of an emergency manager for the fiscally- and academically-troubled Gary Community School Corp. The Senator introduced a bill last General Assembly session, which became law, calling for the procedure to select the emergency manager. Today: an extended conversation with State Senator Eddie Melton (D-Gary) and State Senator Greg Taylor (D-Indianapolis) about the series of Indiana Black Legislative Caucus statewide Town Hall meetings, ending in Gary on August 19th in the Bergland Auditorium at the Savannah Center of Indiana University Northwest in Gary. Both Melton and Taylor have attended some of the other Town Hall meetings in other Hoosier cities. 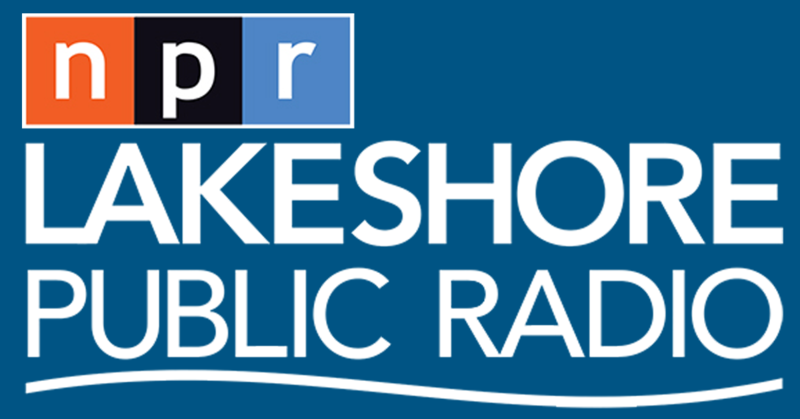 One of Indiana's newest members of the General Assembly came into the Lakeshore Public Radio studios on Monday to talk about his first trip to Indianapolis to serve as a lawmaker and a bill he sponsored that started out his Indiana Legislature career.